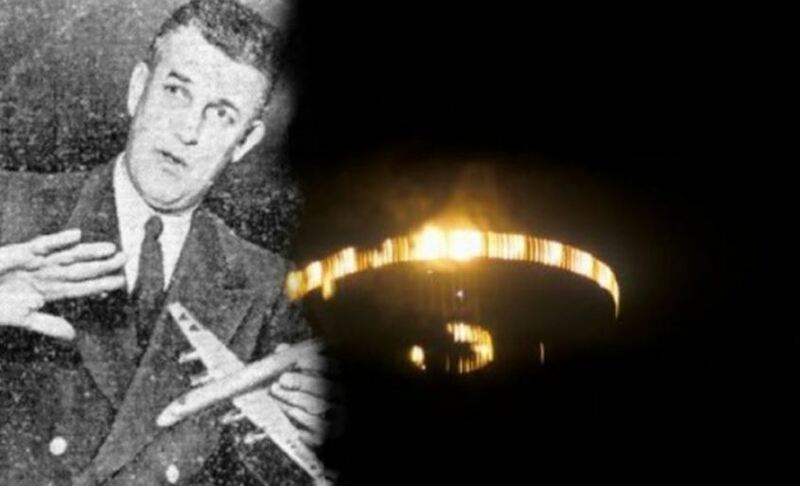 Just after 8:20 pm on 24th February 1959 over the skies near Williamsport, Pennsylvania, Captain Peter Killian, along with First Officer James Dee, were guiding their DC-6B American Airlines flight from Newark on their way to Detroit, Michigan. They were at an altitude of 8,500 feet. The night sky around them was clear, moonless, but with a healthy splash of sparkling stars. As he looked out to his left, Captain Killian would suddenly notice “three bright lights” that stood out distinctly. He at first thought the lights were the famous stars of Orion’s Belt. Then, however, he saw the actual Orion constellation, slightly higher in the sky than the mystery anomalies. Dee had also noticed these strange lights and continued to watch them with Killian. When the lights changed their direction, Killian would contact two other American Airlines planes in the nearby vicinity. Both were flying over the state of Ohio. The first was over the waters of Lake Erie and would witness the lights heading “south over Cleveland”. The second, over Sandusky on their way to Pittsburgh, witnessed them heading southeast of their position. Killian and Dee would continue to observe the lights for the next forty-five minutes before beginning their descent near Detroit. They would, on occasion, move their position temporarily, but would always return to their original location just under the belt of Orion. The brightness of the objects would also change constantly throughout the sighting, going from extremely bright to almost faded completely away. Furthermore, the colors of the objects would change in a smooth fluctuated way, from a brilliant blue-white light to a warmer orange-yellow glow. Killian would suggest the lights were individual of each other as at least one of them would occasionally move away from the others while they remained stationary. The plane would begin its descent towards Detroit at 9:15 pm, with the objects still visible. Killian would recall later that “It could not be any clearer than it was that night above 5,000 feet”. Shortly after beginning their descent, though, the objects were quickly out of sight. Meanwhile, in Akron, Ohio, the pilots of the American Airlines plane who witnessed the objects over Lake Eire would report the sighting. A “contact” of the Akron branch of the UFO Research Committee at the airport would relay their report, by telephone, to George Popowitch. Popowitch, who had already received several reports from citizens of a “UFO” overheard would make discreet arrangements to interview the two pilots, Captain Yates and Engineer Baney. They would claim to have tracked the mysterious objects between 8:40 pm and 9:10 pm right the way from Lockhaven in Pennsylvania to Youngstown, Ohio. Yates also visibly saw the objects “pacing his plane” south of his position. They would eventually pass them and vanish into the northwest. There were several investigations, both official military and aviation ones, as well as those by numerous UFO groups. NOTE: The Air Force tried to push this off as a refueling mission. Their evidence was not very good. Being Air Force pilots themselves, the pilots stated that they do know what a refueling mission looks like. This was definitely NOT REFUELING MISSION.